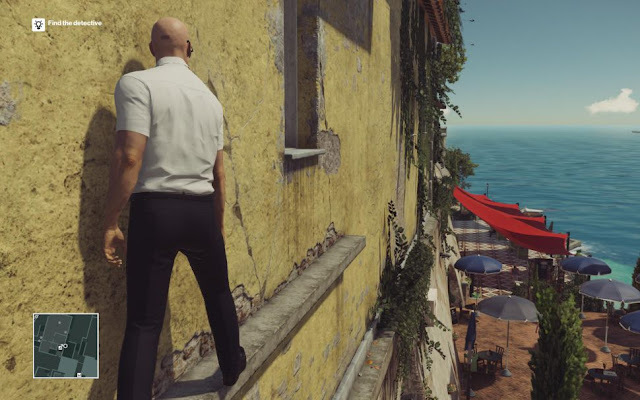 Hitman is back with the second instalment of its new episodic format that was introduced last month. Related reading: Sam's write-up of the first episode in the series. It’s difficult to talk more about what this game does, as we’ve already covered that in our review of the first episode. And that’s something that should be noted to players who have held off buying the season pass, there is likely not that much more to come in terms of new gameplay features. What each episode provides is a different sandbox to play around with, using the same existing tools. It doesn’t change that much, and it’s hard to give each new episode an independent "review" because of that. 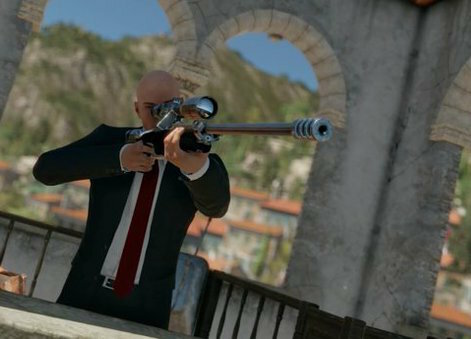 This time, Agent 47 is in the coastal providence of Sapienza, based on a town on the Amalfi Coast. This beautiful, sun-soaked location houses many more opportunities than that of the fashion show in Paris in the previous episode. 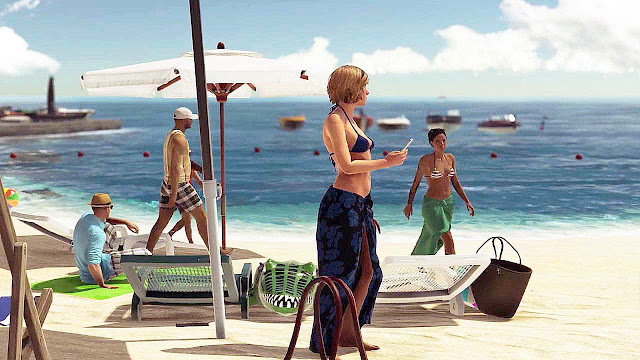 Where Sanguine was an isolated location, Sapienza is an open setting. There are cafes, apartments and even a chapel with a cemetery attached which can all be explored throughout. The fact is, this episode feels bigger, remedying something which I feared would be an issue with having these episodes as stand alone sections of the game. The targets for this assassination mission are Silvio Caruso, a bioengineer who is behind a DNA specific virus that can infect anyone in the world, and Francesca De Santis, a high level employee of Caruso's. Additionally, Agent 47 is tasked with destroying the virus, which is a different type of game to killing a person. It’s one of the most intriguing town settings I’ve played in for quite some time. Unlike Uncharted 4 where you stroll through a village with little interaction, Sapienza is quite different. It's very interactive. It's also filled with odd places to explore and ultilise on the way to the targets. There are old ruins from naval times, and underground tunnels that connect parts of the town together. It’s beautiful, captured most poignantly in the opening seconds of gameplay. Agent 47 isn’t parachuting out of a plane, or emerging from the water after swimming from a hidden boat, he’s hidden in plain sight, on a bench, reading a paper. It’s this lifestyle we get to be a part of, and it’s the lifestyle that makes this episode more engaging than the last. The power in Hitman is the opportunities that arise in every new location. They are dependant in the scenarios that occur around Agent 47, and it’s a case of being in the right place at the right time. For example, learning that Silvio is being forced by his parent company to see a psychiatrist, who I just so happen to walk by as I was passing through the neighbourhood. Seeing him sit down to have a coffee, I assumed the role of the waiter, poisoned his drink, killed him in the bathroom, and then (under the guide of the psychiatrist), suffocated Silvio with a pillow in his private quarters. These opportunities are rife throughout the game, nearly always given to you when you stop to listen. Again, this isn’t a fast game by any standards. You are encouraged to move slowly. I can’t help but feel somewhat underwhelmed by this instalment, but that might be because I was so amazed by the magnificence of the Paris mission. And it would be hard to have five missions that are as high intensity as assassinating a single target in a room of hundreds of people. The Sapienza mission tone reflects that of the town. It’s laid back, chilled. Yes, there are swarms of security in certain areas, like the mansion and the laboratory, but otherwise it’s quite idyllic. Although the location is underwhelming, I have to remember that this isn’t DLC, its part of the final game, which will need locations that vary in what they’re providing the player. The problem with having these episodes release so far apart, is you sometimes forget that we’re not even halfway through with this game. Yet, to only be two episodes in, and to have already lost some of the impact that made the first episode so great, that can’t be a good sign for the next few instalments.